Over the years, we've discussed the variety of advanced business phone features that a Hosted VoIP phone service delivers to businesses of all shapes and sizes. These features have created a new standard for phone service, effectively making analog phone systems and service obsolete. Moreover, they have transformed the communication practices of the businesses who have deployed them and utilized them to their fullest extent. So, what is the most important feature of Hosted VoIP? After over a decade in this business, I'm convinced that it is not a feature at all, but an "opportunity" made possible with a Hosted Phone Service. That "feature" is customer service! Every Hosted VoIP provider has the opportunity to excel at customer service because the phone system now goes hand in hand with the phone service. How does Hosted VoIP present an opportunity for excellent customer service by the Hosted VoIP provider? Because these providers are hosting the phone system, there is an opportunity to really get to know the customer during the design and implementation stage. This also can carry over to the administration stage. However, not all Hosted VoIP providers take advantage of this tremendous opportunity! Many of the larger, national VoIP providers insist that the customer utilize the online tools they provide so that set up and administration are totally the responsibility of the customer. This secures cost savings for the provider. 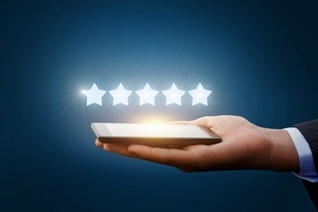 Alternatively, other Hosted providers deliver more of a concierge approach to design and administration, putting them in a unique position to provide outstanding customer service. These providers realize your time is valuable and you don’t have time to be a phone expert in addition to all your other work duties. The concierge approach begins in the design/planning phase. While national companies have templates, look for a provider that customizes a phone solution that matches your business. Here's how. First of all, Hosted VoIP is essentially a program. This program can be customized for each business so that the phone system matches exactly how they perform business. From designing a flow for incoming calls, to auto attendant design, to the user experience, Hosted VoIP providers can really get to know the customer during the design stage. This knowledge of the customer can carry forward to the technical and customer support personnel who will administer the system as the customer experiences needs for changes. Hosted VoIP providers who build this kind of relationship with the customer are uniquely positioned in the telecom industry. When was the last time you contacted your phone service provider and the personnel actually knew who you were? You're lucky if the call can be even handled by the first person you talk with and if that person is even located domestically! Are you assigned a dedicated customer service representative? This is entirely possible with Hosted VoIP providers who take the concierge approach. sipVine's own experience as a Hosted VoIP provider has demonstrated time and time again that businesses move to Hosted VoIP for the features and capabilities but stay as customers due to customer service. We have kept our pricing competitive while resisting the cost savings that we could achieve by forcing customers to self-service their design and administration, but have not charged extra for the customized design and concierge approach to customer service. The trade-off has been a remarkable customer retention rate and a very loyal and evangelistic customer base. Early on in sipVine's operation, we found that most businesses were simply switching to Hosted VoIP from traditional analog phone systems as their systems were failing and their old models were no longer being supported. However, we are experiencing a wave of new customers coming in from the large, national VoIP providers. Despite their vast array of features and a self-service portal, most of these businesses are leaving due to frustrations over the customer service. Once we examine their phone deployment and call flow, it is clear that there was not an up-front process utilized to effectively customize the phones, call flow, and user experience to match the customer's needs. The expertise to do this over a portal themselves did not exist or carry forward to the ultimate implementation. Then, they experienced a failure in customer service to rectify or salvage the deployment. Please hold for customer service. Calling the customer service of the large VoIP providers tend to deliver solutions such as "increase your bandwidth" or "run your phones out of a separate internet connection." These solutions may be practical, but they also may be unnecessary. This is a failure in effectively diagnosing network trouble that impacts the phone service call quality or registrations. Hosted VoIP providers who are more engaged with the customer for their initial design and on-going administration can leverage such an engagement to help them diagnose the network trouble that negatively impacts the phone performance. They can run tests to determine if the problem originates with the internet connection. Or, they can dive in deeper to determine if the customer's router has settings that are conflicting with IP phones, if there's a local network problem, or if the customer is saturating their internet circuit either from a normal routine (cloud back-ups) or something like a specific computer that has a virus or is streaming video. If your business is looking to make the switch to Hosted VoIP or if you are not satisfied in how your new Hosted VoIP phones have been deployed or administered, research alternative providers based upon how they engage with the customer. Look for providers who will discuss with you how you want the service programmed up-front and ultimately deliver everything to you pre-programmed and ready for deployment. Look for a concierge approach to customer service, not a self-servicing portal. Your long-term satisfaction with such a provider will be virtually certain, as they will act more like your phone department and not a vendor. This will be the best "feature" of your service, and it will help you make the most out of the new technology. Leave the talk around building walls to the American political scene. As a business owner, your business will benefit by figuratively tearing down walls and removing barriers to communication with the help of a Hosted VoIP phone service. With Hosted VoIP, the walls of your business become translucent, as your phone system is no longer confined to your physical location. Additionally, as the world becomes more and more "always-on" in terms of communication, your business can adjust communication practices to meet the evolving demands of your customers. Expanding the Business Presence Beyond a Primary Location - As a business grows, pressure on square footage can become acute. Instead of adding resources to a tight environment or going through the expense of moving a business, a business owner can look at alternatives to placement of employees. Locations can be added where resources are plentiful or economical or in areas where business volume dictates. Virtual employees can also be deployed where it makes sense for the business, allowing for expansion without taking on the cost of new locations. A Business VoIP phone service can tie all of these employees together on the same cloud-based system, facilitating efficient internal communication while external callers are served as if everyone was under the same roof. All Locations Work as One - There are certainly direct economic advantages of all business locations being on the same phone system. Through Hosted VoIP, phone bills are typically lower as there are economies of scale built into most pricing practices of the hosted VoIP providers. Indirectly, the business can benefit through the programming of the service to best meet the needs of the business and demands of the customers. You can centralize main line calls, where all locations incoming calls are directed to a central group of people. Calls can be directed to where the customer is best served. You can decentralize functions as well. For example, a customer service group can be made up of several employees located in several different locations. Businesses can right size their functions based upon call requirements, not the number of physical locations. Inclusion of the Mobile Work Force - Many businesses have employees spend a lot of time in the field, whether it be sales personnel, site managers, or service technicians. Most utilize the personal or business cell phones to conduct their business. Thanks to soft phone applications, these employees can receive and make calls on their business number or extension and not have to give out the cell phone number. When they make calls, they are delivering the caller ID of the business, not the cell phone. Voicemail messages are crafted for their business, and not a personal cell phone. This can be advantageous to the business in many ways. Calls can be transferred to the employee without needing to think about whether they are in the office or on their cell phone by transferring to the extension. External callers don't have try to reach this person via a cell phone, they just call the business or the direct dial of the contact. With the flexible deployment options described above, call flows and communication practices can be revamped to meet the growing demands of an always-on customer base. Calls can be answered all of the time, regardless of where the resources are deployed. Auto attendants can route callers by need to the appropriate group of employees, again with no requirement of location. Direct dial numbers can be judiciously utilized for customers who need direct contacts. After hours on-call personnel can be equipped with soft phones. Calls can be programmed to deliver to the entire group, but the only ones that will ring are to those designated to turn them on for the period. No complicated programming or a physical requirement to be in the office is necessary. These are just a few examples. Every business is different and the caller demands can vary widely. However, the flexibility offered by a Hosted VoIP service provides the business with the opportunity to be creative. Let your imagine fly and think of ways your business can communicate better with your customers and prospects and set your business apart from your competition!